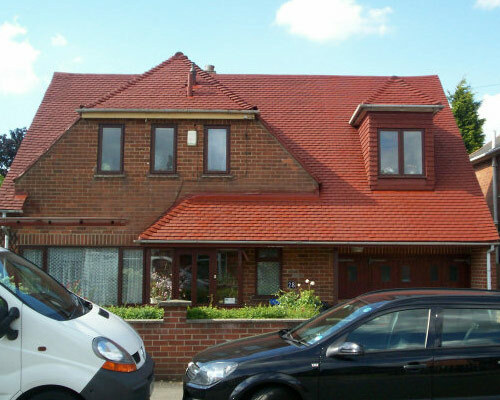 For examples of the roof cleaning and treatment services we offer, feel free to browse through the gallery below, and don’t hesitate to get in touch for more information. 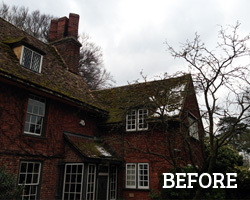 Dame Mary Archer was very happy with Restore A Roof when we cleaned the roof of 'the old vicarage in Granchester'. Imortalised by the poet Rupert Brooke in his poem of the same name, Dame Mary had a problem with moss lifting her rosemary tiles on her listed building. After consulting with her gardener, who did not want any damage, the various plants and creeping ivys attached to the walls and roof. We stopped the moss returning by waterproofing the tiles. 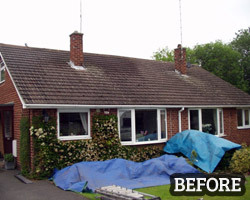 We cleaned the roof, removing the moss and algae. We then replaced the broken tiles from our tile bank. We had tea with with a Dame Mary who recieved her damehood in June 2012 for her services to the NHS. Phil Thompson, former Liverpool football club captain, England international and Sky Sports pundit called us to sort out the the moss that had overtaken the roof of his swimming pool building. We explained the coating on the concrete tiles had worn away over the years and were now soaking up rainwater and because of this moss started to grow on his roof. 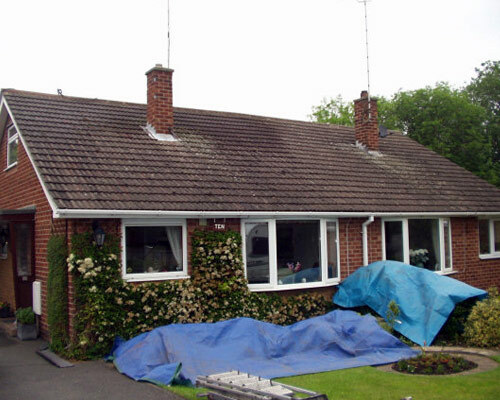 We cleaned the concrete tiles, de fungasided the roof and left it to dry out as it had been constantly damp for years as the moss had formed a canopy to protect its food supply. 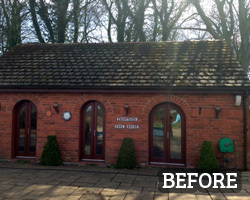 A few days later we returned to coat the roof in the colour of slate grey to match the roof of the main house. Phil told us his proudest moment was as Liverpool skipper when he lifted the European Cup after a 1–0 victory over Real Madrid in the Paris final. Ours was cleaning the roof of this footballing legend! 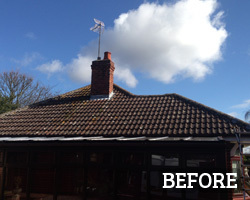 Restore A Roof were contacted by Ron Branch, the owner of Branch Brothers, a building and timber merchant in Bourne. 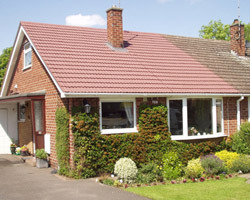 He wanted a quote to clean the roof of his detached bungalow and waterproof his tiles to stop the endless supply of moss dropping on his drive and garden. 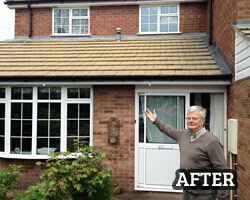 He got three quotes and chose Restore A Roof to carry out the work. Why Us? Because he said we gave him a the best price with the least hassle, no pushy salesman pretending to ring their boss for a discount and did not want any money up front until the work was done. 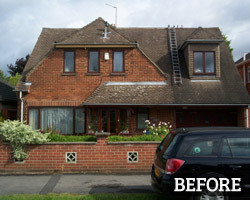 Even though he owns a builders merchant he chose to have his roof cleaned and protected by Restore A Roof. 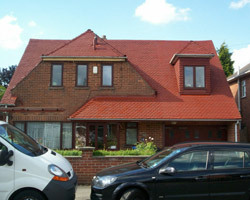 Is there a better recommendation a builders merchant having his roof restored and not replaced. Thanks Ron! Andrew Mc'vite, a retired pension fund manager from Wendover, told us he was sitting on his patio drinking tea admiring his lovely garden when a nugget of moss bounce on to the table and landed on his saucer. There and then he told us that was the moment I had to do something about the "Bloody Moss", so he called the experts and we told him that the protective coating on his tiles had, over the years, worn away and now his unprotected roof was soaking up the rain water and that was feeding the moss. "So what can be done?" he asked. 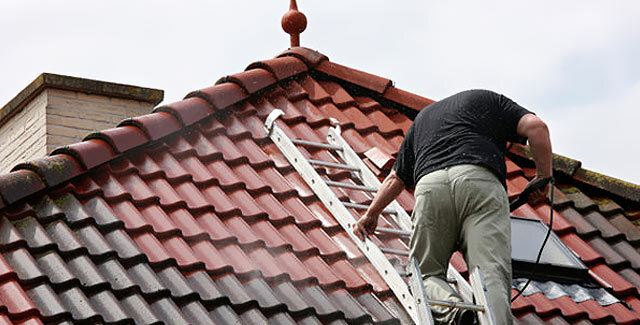 We explained that to stop the moss we have to clean it, defungaside it, change 2 cracked tiles, do a little bit of repointing and then waterproof the tiles so that the next time it rains the water rolls into your gutters instead of soaking into the tiles. We told him the price and he said "Do it and be done with it". 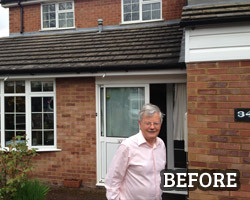 So we did, we cleaned it and he was very happy with the buttercup yellow underneath and we then waterproofed the tiles in a clear coating and he was "over the moon" with the transformation. He told us a story about his daughter driving past his house by mistake. 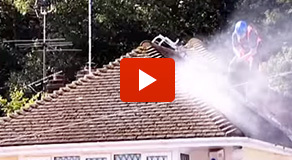 When corrected by her husband, she said "My dad hasn't got a yellow roof! "… WELL HE HAS NOW! 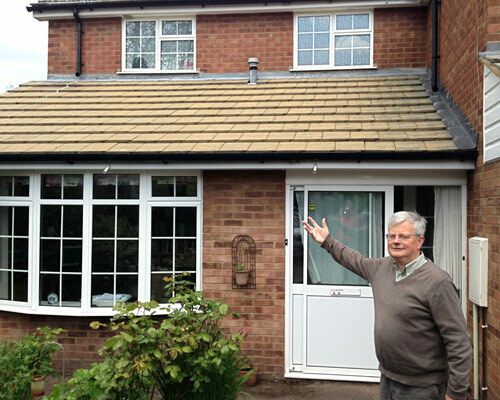 Ivan Mellows of Ilkeston was having trouble selling his property. 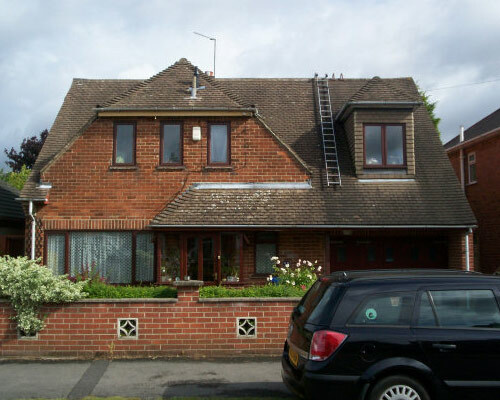 The house was fantastic inside but from the estate agent feedback it became apparent that people who viewed the house said the house had a damp look about it. 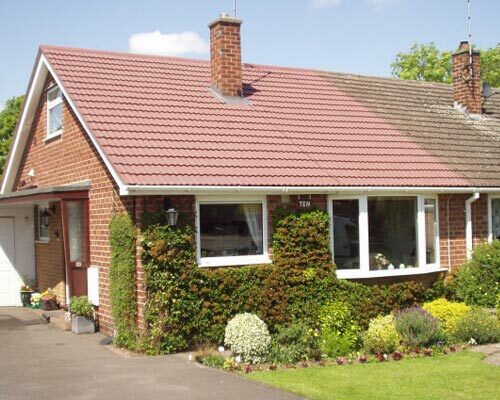 We cleaned the moss away and repointed the roof. 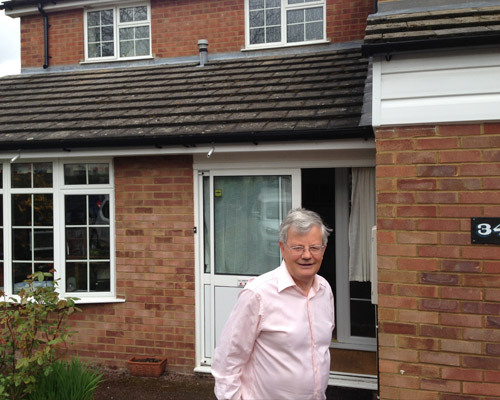 The house sold within a week and Ivan was delighted with the result.